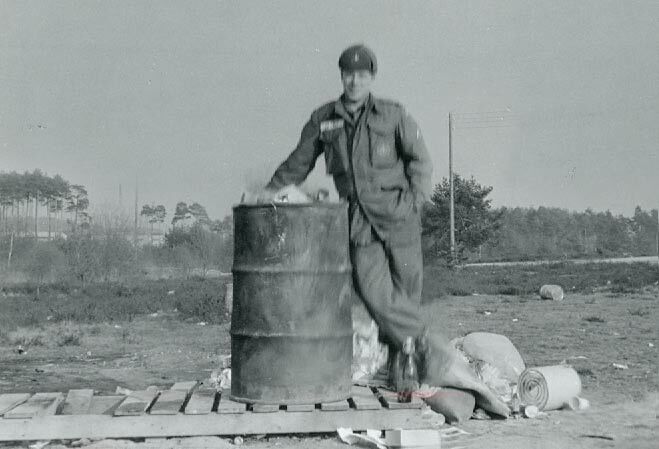 Me (PFC Frank da Cruz) at the Grafenwöhr tank range, Germany, Winter 1963 or 64. For some reason the middle part of the photo is out of focus. This is the only picture of me in the Army wearing fatigues, with the added bonus of Russian-style US Army fur hat and 3rd Armored Cavalry insignia on hat and pocket, 7th Army patch (barely visible) on left shoulder. These are all the photos I have from when I was in the 3rd Armored Cavalry Regiment. I had a nice Agfa 35mm SLR camera (without light meter), but it was stolen out of my 1949 VW, not a big surprise since there was no way to lock it.